This page showcases books I've written or contributed to; plus you can scroll down to see a selection I'd like to recommend by friends and colleagues. 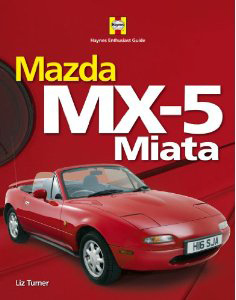 This book began as You & Your Mazda MX-5/Miata in 2002, updated in 2006. For 2009 I revised, updated and reorganised the entire book. I've aimed to give as much information as possible for someone wanting to buy one of these lovely cars. I sincerely couldn't have done it without the help of generous and fun members of owners' clubs worldwide. 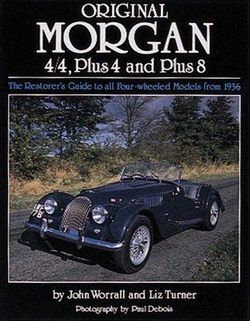 To write this book, Morgan restorer and all-round font of knowledge John Worrall and I sat together with a tape recorder talking Morgans for days. I loved all the anecdotes, such as HFS Morgan's idea of an incentive payment - one Woodbine. I then went off to research more history. Many thanks to Charles Morgan for his help then and stories since. I was one of a team of 13 people including overall editor Simon Heptinstall writing pithy sections. You can spot my 43 entries from the LT at the end of the copy; I do remember they included some Hummers, the Rolls-Royce Phantom and 2008 Dodge Challenger. It's a light dip in and out book with a lively style and lots of fantastic pics sourced by Giles Chapman. Published 2012. 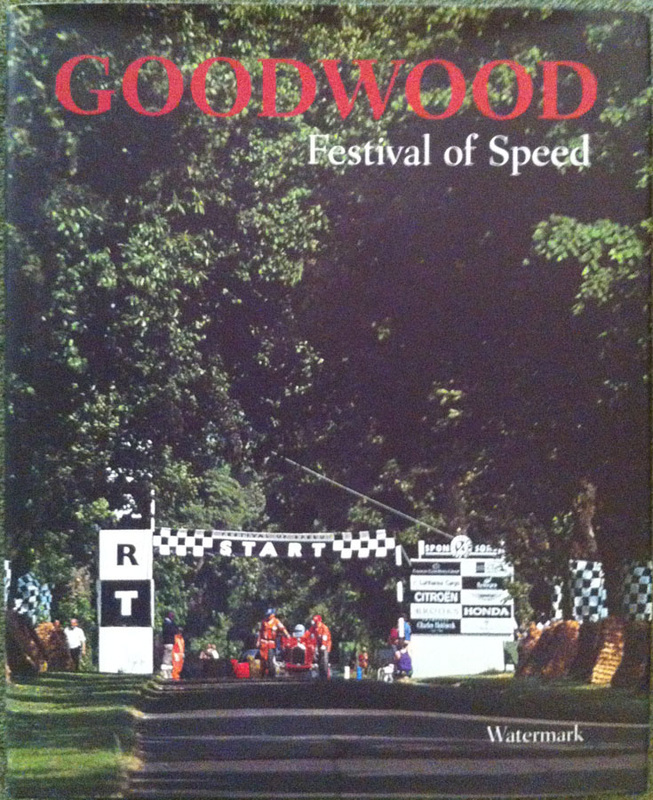 I contributed several chapters to Ian Lambot's privately published book about the Festival of Speed published in 1998. I got to interview Carroll Shelby, Dan Gurney and Jim Hall so I have a soft spot for it. Now it's an interesting pictorial record of what the FoS was like in the first five years before it got so huge. These are books by my hard-working friends and colleagues. See more details on Amazon. 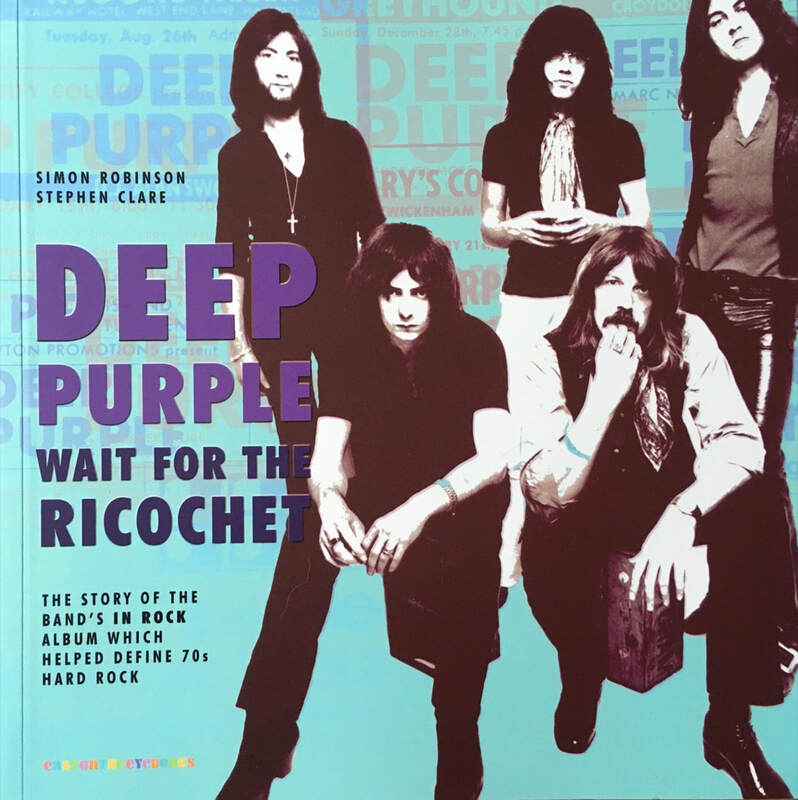 Author Stephen Clare recently got in touch to interview me about my interview with Jon Lord for Autocar (click here) for the team's next project about the band's album Machine Head. This one is a stylishly designed scholarly work, with quotes from the band and others carefully annotated to show whether they were from interviews with the authors or gathered from elsewhere. It's crammed with details about how the music was made and illustrated with precious handwritten diary and studio notes, plus ads and posters. If you're a fan, you've got to have it. Russell seems to be addicted to writing books. We worked together on titles such as What Car? and the dreadful Complete Car before he headed off to the telly and projects including Top Gear. I bumped into him recently manning a stall at the Beaulieu Autojumble offering his books, and I have to admit to being astonished to see so many titles, particularly because they are are so extensively and meticulously researched. It makes me feel very lazy indeed. Anyway, enough about me. 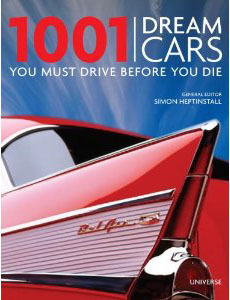 If you like Golfs, or VWs, or if you're interested in car design, you'll love this book. It makes it clear how this simple little car knocked the old-fashioned British porridge on to the hard shoulder, and how it has kept going, still offering affordable luxury and fun 40-plus years on. 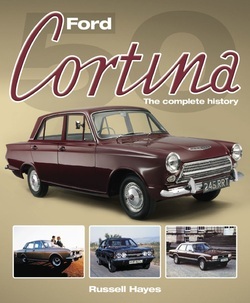 See also his Cortina book below. 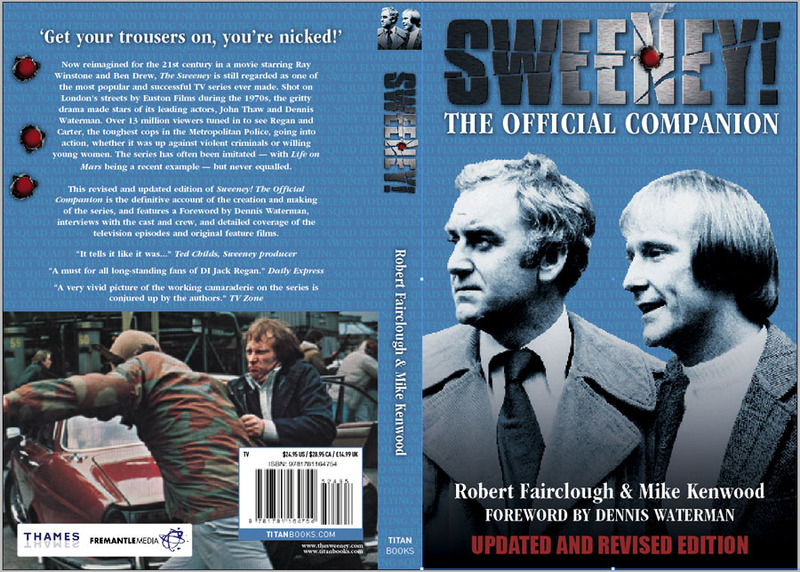 This is a labour of love by long-time colleague and friend, Chris Rees. Every single trike made since 1940 is listed – 1,122 different types, and he's been gathering the material and photos since long before we worked together on the defunct, but fondly remembered Your Classic magazine. 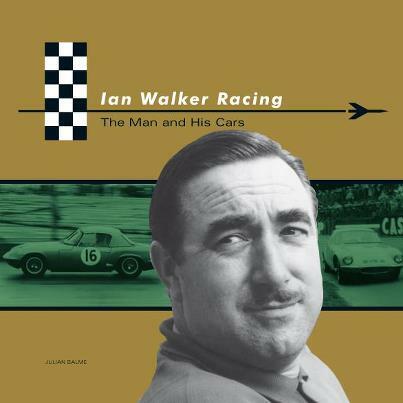 Julian was given exclusive access to Ian Walker's photographs and papers by his family. He sorted through it all, wrote the book and designed it with his usual panache. On seeing it for the first time Ian Walker's eldest son Sean emailed to say: "It is beautiful, YOU SHOULD BE REALLY PROUD OF YOUR WORK. I can tell you that father would be extremely pleased with it as it encompasses all that he believed in. Attention to detail, presentation and flair....."
This gorgeous book is a reminder of days gone by, when car journalists and photographers had the luxury of going off for an adventure. They came back with glorious images and a story anyone could enjoy – whether or not they were interested in cars. 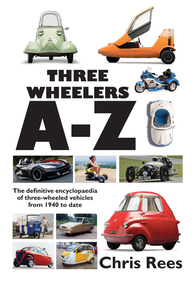 Andrew Brodie adds to his own tales, stories by the much-missed, very funny Phil Llewellin, enthusiast Dale Drinnon and ex Supercar Classics editor Paul Horrell. 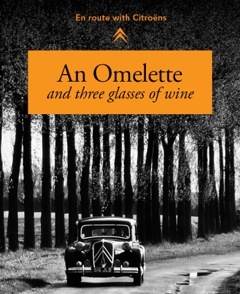 It's a book you can flip through, dip into occasionally, or take to a well-upholstered chair with a glass of wine or three and wallow in. Naturally there's good stuff on the Lotus Cortina (and Cortina Lotus). Clearly a real labour of love, a must for all Cortina fans. An episode by episode guide featuring interviews with cast and crew, lots of great photos and details about the action, the faces and, of course, the cars.